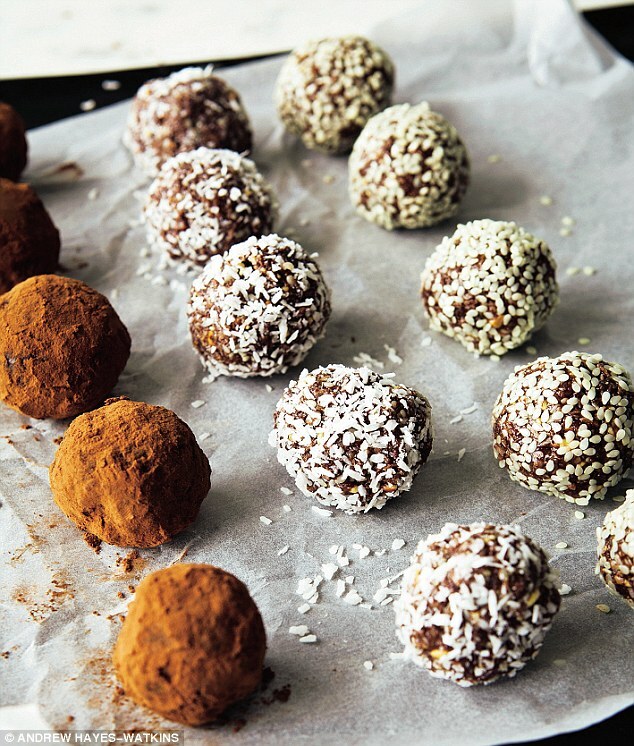 Power Balls, Protein Balls, Energy Balls… Roll it into a ball and anyone will eat it. Call them whatever you would like, but these healthy snacks are becoming super popular… And for good reason! They can pack a powerful punch with healthy fats, high protein, fiber, and some good carbohydrates all in a couple bites. They’re easy to make, often require no baking, and they are conveniently portable. Even more than that, they are fun. Who doesn’t love finger food? It brings out our inner five year old. I’m going to help you build the perfect bite. Listen closely. You need a base: something that is going to hold your ball together. This is typically a nut or seed butter. It’s the perfect texture and stickiness, and it’s delicious. Win-win. Next, go for the crunch. Add chopped nuts, coconut flakes, or chocolate chips… Or all of them. 🙂 You could also buy the crunchy version of your nut butter instead! After the base and the crunch, you want to think about adding sweetness. If you added chocolate, you’ve already got a start here. Your best and most wholesome bet may be dried fruit, dates, or honey. Go easy at first… you can always add more. Lastly, and the best part, is the “extras”. Play around here. There are so many options to try! For example, whey protein powder can bump up your protein content and create a more dense texture. Flax or hemp seeds will give you a healthy dose of Omega-3s for brain function. For extra carbs, consider adding oats. When you’re getting started, think about your flavor profile overall. What ingredients will go well together? Try imitating a favorite like cinnamon raisin, peanut butter/chocolate, or pumpkin spice. I suggest you to mix all your ingredients together before adding your base to ensure the perfect bite. A sample recipe is given below! I found the majority of my ingredients at Martin’s in the bulk isle. I encourage you to be creative. The possibilities are endless, and all it takes is getting started! You do not need a blender or any hardware… Just mix with your hands and enjoy! Pro tip: storing them in the freezer creates a melt-in-your-mouth appeal for later!